Congratulations to Kyler Murray who, upon fully committing to football, learned that he is probably too short to be picked by the New York Giants. SNY’s Ralph Vacchiano, a long-time chronicler of Giants news, cited a team source who said that the 5' 10" Murray was ‘probably a little too small’ to fit in their system. 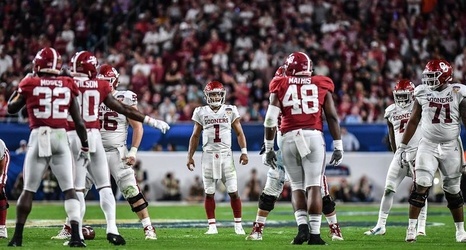 He supplemented that with some old quotes from head coach Pat Shurmur, who has talked at length about desired quarterback height in the past. "You're trying to find sightlines," Shurmur said last spring.